SoFi is quickly becoming one of the largest providers of student loan refinancing and consolidation. Although still relatively new, the company has helped almost 200,000 individuals save thousands on their student loans. Competitively low rates, unemployment protection, and a high level of customer support set SoFi apart from other companies in the industry. SoFi offers some of the best interest rates around for refinancing and consolidating federal and private loans with fixed rates ranging from 3.890% to 8.074% with AutoPay and from 4.149% to 8.229% without AutoPay*. On variable loans, the company offers rates from 2.500% to 7.115% with AutoPay and 2.720% to 7.240% without AutoPay*. On top of favorable interest rates, SoFi offers flexible repayment terms ranging from 5, 10, 15, or 20 years. The application process to get pre-approved with SoFi takes just over two minutes. The application does not require any fees or affect the applicant's credit score. SoFi also provides customer support seven days a week to help individuals navigate the application process and manage payments. Many companies place limits on how much an individual may borrow to refinance their student loans. However, SoFi doesn't do this. The only upper limit that the company imposes is the total balance the borrower owes back on their loans. One thing that stands out about SoFi is its generous career help. If a member becomes unemployed (at no fault of his/her own), SoFi will halt payments for up to three months (for twelve months total over the life of the loan) and will provide a team of professionals to help the member find new employment. On top of unemployment protection, SoFi provides one-on-one career coaching to help borrowers achieve their career goals. The company offers techniques and tricks to polish a resume, do well in interviews, and improve negotiating tactics. Additionally, SoFi hosts panel sessions, dinners, and happy hours for networking purposes. Individuals refinancing an existing student loan with SoFi will receive a 0.125% interest rate discount on a subsequent personal or mortgage loan with SoFi. For example, if the interest rate on a personal loan would have been 8%, the SoFi member would receive a 7.875% interest rate. With low interest rates, flexible repayment terms, and incomparable career benefits, SoFi has created a recipe for success when it comes to repaying student loans. If you are looking to reduce your APR and monthly payments through refinancing, we recommend looking into SoFi. This company is especially a great option if you have good credit history and a high paying job. We recommend checking out the easy, two-minute application to see how much you can save on your student loan repayment. *Fixed rates from 3.890% APR to 8.074% APR (with AutoPay). Variable rates from 2.500% APR to 7.115% APR (with AutoPay). Interest rates on variable rate loans are capped at either 8.95% or 9.95% depending on term of loan. See APR examples and terms. Lowest variable rate of 2.500% APR assumes current 1 month LIBOR rate of 2.50% plus 0.00% margin minus 0.25% ACH discount. Not all borrowers receive the lowest rate. If approved for a loan, the fixed or variable interest rate offered will depend on your creditworthiness, and the term of the loan and other factors, and will be within the ranges of rates listed above. For the SoFi variable rate loan, the 1-month LIBOR index will adjust monthly and the loan payment will be re-amortized and may change monthly. APRs for variable rate loans may increase after origination if the LIBOR index increases. See eligibility details. The SoFi 0.25% AutoPay interest rate reduction requires you to agree to make monthly principal and interest payments by an automatic monthly deduction from a savings or checking account. The benefit will discontinue and be lost for periods in which you do not pay by automatic deduction from a savings or checking account. To check the rates and terms you qualify for, SoFi conducts a soft credit inquiry. Unlike hard credit inquiries, soft credit inquiries (or soft credit pulls) do not impact your credit score. 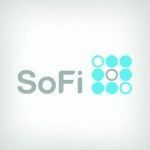 Soft credit inquiries allow SoFi to show you what rates and terms SoFi can offer you up front. After seeing your rates, if you choose a product and continue your application, we will request your full credit report from one or more consumer reporting agencies, which is considered a hard credit inquiry. Hard credit inquiries (or hard credit pulls) are required for SoFi to be able to issue you a loan. In addition to requiring your explicit permission, these credit pulls may impact your credit score. ***Minimum Credit Score: Not all applicants who meet SoFi’s minimum credit score requirements are approved for student loan refinancing. In addition to meeting SoFi’s minimum eligibility criteria, applicants must also meet other credit and underwriting requirements to qualify.